There are several features of RERA Act that assume importance in the present scenario. 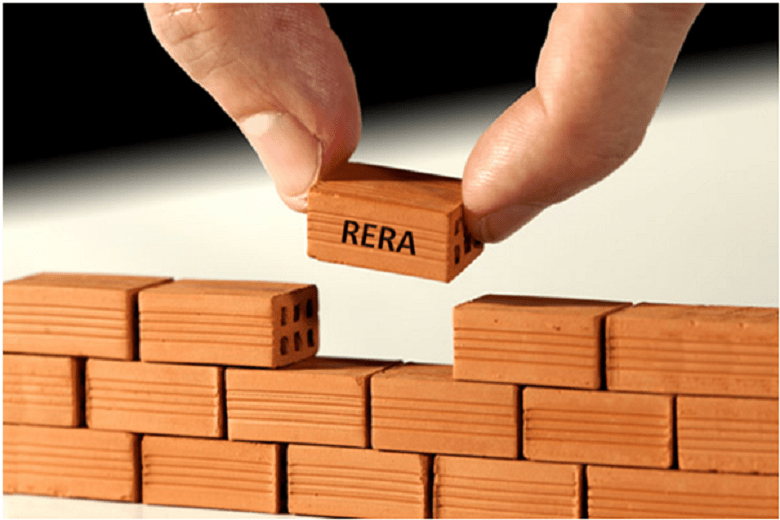 RERA (Real Estate Regulatory Authority) has been a pioneering move aimed at ushering in greater transparency and accountability in India’s real estate sector while safeguarding customer interests above all else. The RERA Act aims at addressing the grievances and issues of home buyers who have often been taken for a ride by developers in the country. RERA has in fact gone a long way towards improving overall home buying sentiments in the country and has made the sector more attractive for investors as well. Here’s looking at some of the key facets of RERA and its inception. The RERA Act or real estate bill was implemented by the Government of India nationwide on the 1st of May 2016 for certain sections. However, the full Act was implemented on the 1st of May, 2017. The aim of the RERA Act is to bolster governance, increase transparency and shore up accountability in India’s real estate sector. The RERA Act makes it mandatory for real estate developers to fully disclose project linked information including project layouts, plans, government approvals for FSI (floor space index) that has been sanctioned, the number of buildings and more. RERA aims at spurring more efficiency in the sector and safeguarding customer interests while addressing the grievances of buyers who have been cheated by developers due to delayed delivery of projects under construction, execution of project plans, legitimacy of properties being sold and so on. RERA was formulated to improve buyer confidence in the sector and give it a much needed boost. Union Minister for Urban Development, Housing & Urban Poverty Alleviation, Venkaiah Naidu, had stated that RERA will promote transparency, accountability and more efficiency in real estate where the customer will be the king and his/her confidence will be what the developer/promoter benefits from. RERA, according to several industry experts and top realty companies, has improved the situation on-ground. It has brought in higher developer accountability and transparency with regard to information disclosure and has also been safeguarding interests of buyers. The setting up of a regulator has led to lower disputes and faster resolution of the same while making the entire system more efficient. A real estate regulator in each State will help usher in enhanced accountability by all means while making buyers and other stakeholders feel secure. Compulsory disclosure of all details of projects including information about the status of the land, clearances and promoter is another good move that makes it possible to protect rights of consumers. RERA has also made several fly-by-night or irresponsible developers exit the market while responsible, legally compliant firms with good track records have benefited from reviving customer sentiments. There is now clear differentiation between those who perform well as developers and those who resort to unethical means. Here’s looking at the top 10 key features of RERA that you must know more about. All real estate promoters/developers/firms have to mandatorily register their upcoming and ongoing real estate projects under RERA. Carpet area is only what the buyer will have to pay for at a project. Promoters/developers will have to compulsorily reveal all details including the project layout, plan, government clearances and approvals, sanctioned FSI or floor space index, number of floors in every building, number of wings and buildings and so on. Promoters/developers will have to mandatorily transfer 70% of the money that they get from home buyers for a specific project into an escrow account. These funds will only be used for covering costs of land and construction. RERA covers projects which were ongoing on the date of final implementation which is the 1st of May, 2017 and projects for which the completion certificate was not issued at the time. Prior to advertising/marketing their projects, promoters/developers have to mandatorily register their projects under RERA and all details of the same can be accessed by homebuyers. RERA has recommended imprisonment up to 3 years as punishment or a fine up to 10% of the estimated real estate project cost in case a developer/promoter does not adhere to the Act. In case of any false information given by a developer/promoter or overturning of provisions of project registration, the promoter/developer will have to pay a penalty of up to 5% of the cost estimated for the project. Project details will have to be updated on a quarterly basis by developers/promoters on the RERA site. Structural defects or any other obligations of the promoter based on the sale agreement, if it is brought to the attention of the promoter/developer within a period of 5 years from possession, has to be fixed absolutely free of cost. Apart from these 10 key features which are beneficial for buyers, here are a few bonus features that you may also be interested in. Under RERA, developers/promoters cannot change any aspect of the sanctioned project plan without the buyer’s written consent. This provision ensures that developers will not be able to suddenly jack up costs of projects. Each phase of the apartment will be taken as a standalone real estate project and separate registration has to be obtained for the same by developers/promoters. States have to establish their State Real Estate Regulatory Authority under RERA and this is the body that buyers will approach in case of any grievances that need to be addressed.